Being that I'm very sensitive to dairy and gluten as well as my breastfed baby boy, I'm always looking for yummy recipes or altering recipes that we can still enjoy, without feeling like we're sacrificing flavor! It's getting chilly and that means comfort food! 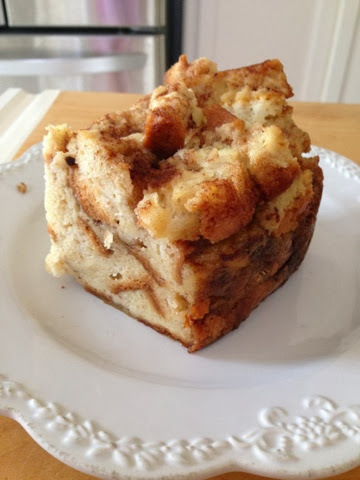 Here's a yummy alternative to a dairy and gluten filled Crock Pot French Toast! In a small bowl beat the eggs and mix with coconut milk or coconut cream and cinnamon. In a large bowl, place cubed bread and poor egg and coconut milk mixture over top. Toss with spatula until well coated. Place in the refrigerator overnight or for at least 4 hours. In the morning, spray the crock pot with cooking spray. Poor bread cubes into the pot. Next, in a small bowl mix butter, brown sugar, cinnamon, pecans and nutmeg. Sprinkle over bread. Place crock pot on low for 4 hours or high for 2 hours.